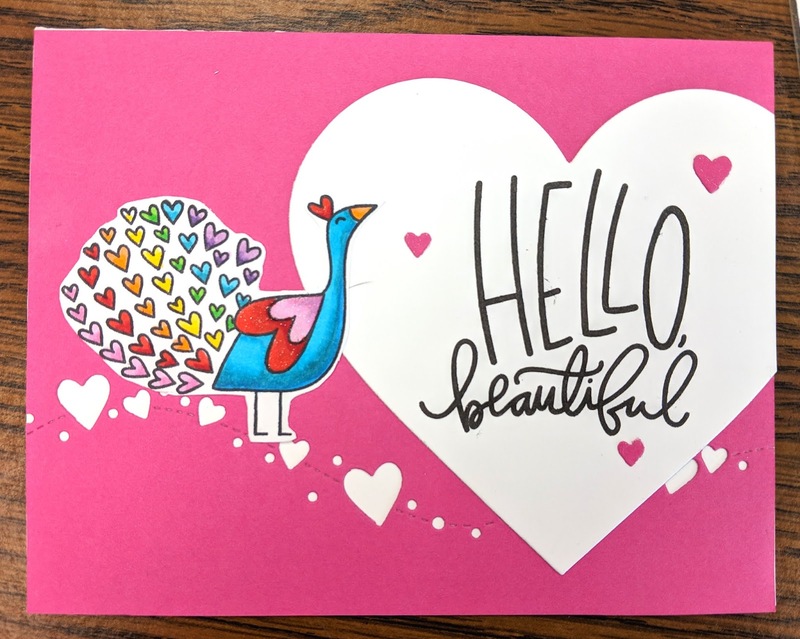 I know this stamp by Avery Elle was meant to be for Valentine's day, but I thought it could work for just about anything. Do hearts ever go out of season? 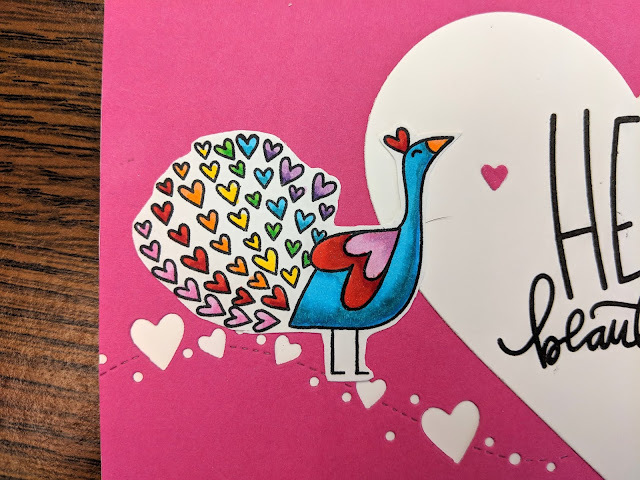 I colored the peacock feathers to look like a rainbow.